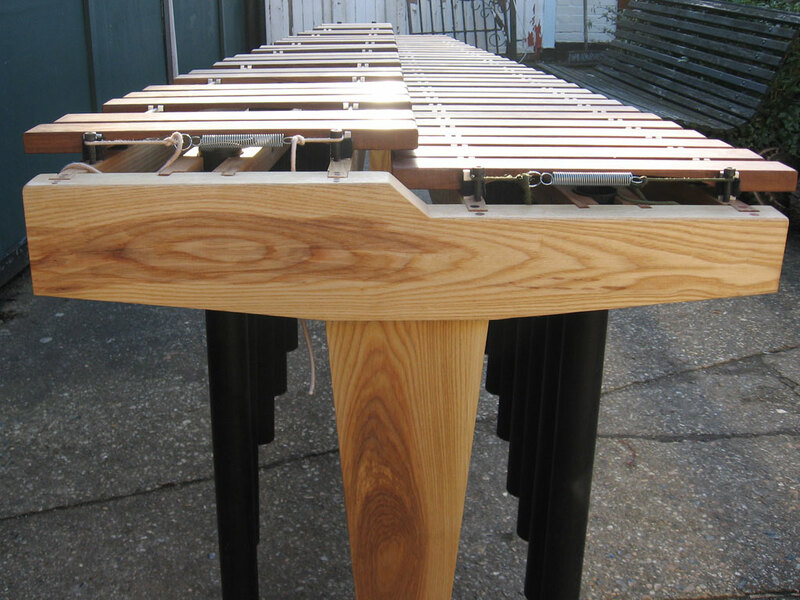 We have developed our own designs of standard 4.3 octave and 5 octave concert marimbas. 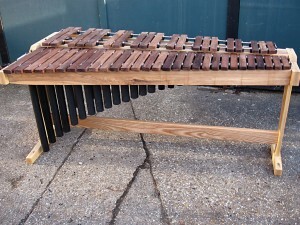 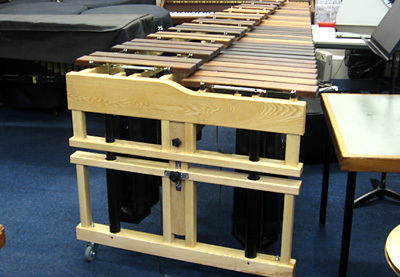 We also offer a 4-octave "Modest Marimba". All models have solid hardwood frames. They are extremely robust, but easy and quick to assemble and disassemble, and will pack into a small car. 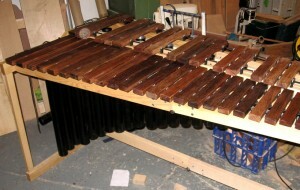 Notebars of honduras rosewood or padauk, and resonators of powder-coated aluminium. 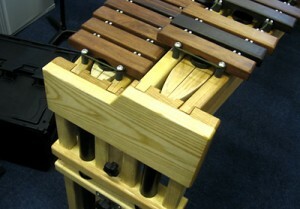 The bars (triple-tuned) can be provided at the pitch of your choice (440, 442, 443). 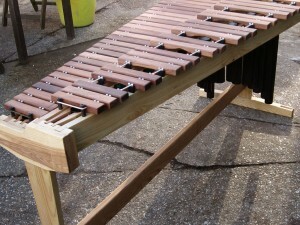 Fixed height or with height adjustment. 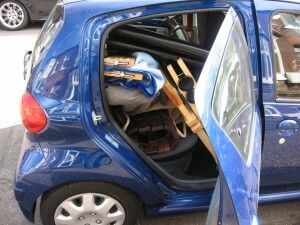 Can be assembled or disassembled in less than ten minutes and will pack into a small saloon or hatchback. From 2400 pounds. A viable 4-octave marimba for under 1200 pounds! The Modest Marimba has graduated bars, a little narrower throughout the range than usual; it is lighter and more compact than a standard instrument. 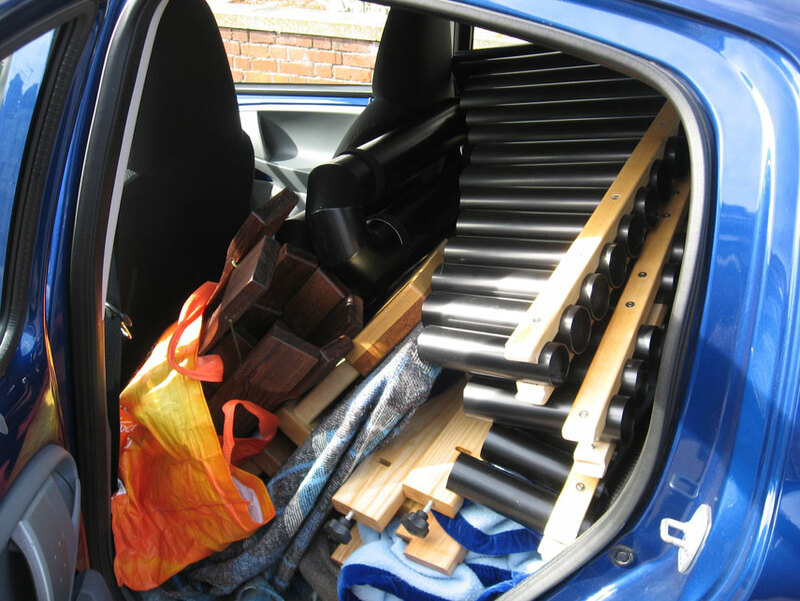 Yes, the five-octave instrument can also fit into a small car ... here it is in a Toyoto Aygo (and there's room for a passenger).